Psoriasis - Applying a cream containing 0.5% aloe for 4-8 weeks seems to reduce the skin plaques and decrease the severity of psoriasis. Cold sores - Some evidence shows that applying an aloe extract 0.5% cream 3 times daily increases healing rates in men with cold sores. 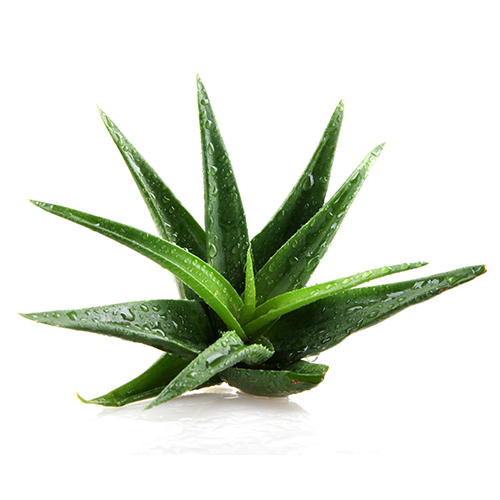 Research backs up the ancient use of topical aloe vera as a skin treatment, at least for specific conditions. Studies have shown that aloe gel might be effective in treating psoriasis, seborrhea, dandruff, and minor burns and skin abrasions, as well as radiation-induced skin injuries. Aloe gel also seems helpful in treating the sores caused by genital herpes in men. There’s also strong evidence that aloe juice (also called latex) taken by mouth is a powerful laxative. In fact, aloe juice was once sold in over-the-counter constipation drugs. However, because aloe’s safety was not well-established, the FDA ordered in 2002 that over-the-counter laxatives containing aloe vera either be reformulated or removed from store shelves. Aloe vera gel taken orally (by mouth) seems to help people with diabetes by lowering blood sugar levels. It may also help to lower cholesterol. The results of aloe vera studies for other medical conditions have been less clear.